Available through Belfire Press, Amazon.com and CreateSpace. Old School, a traditional horror collection born of seven twisted minds, invites you back to a time when vampires and werewolves were monsters who made humans quiver in terror. 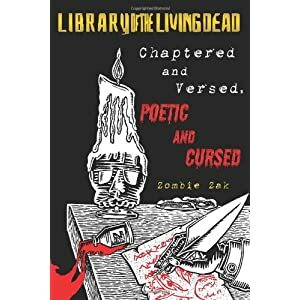 Fourteen short tales offered by David Dunwoody, Jackie Gamber, R. Scott McCoy,Natalie L. Sin, Horace James, Gregory L. Hall, and Louise Bohmer, all tied together by selected poems from Zombie Zak – Old School reminds one of terrors best not forgotten. Within these pages, evil children terrorize, witches gather the teeth of the young, cosmic blobs eat the world, while creepy crawlies ruin a man’s life and a headless ghost seeks revenge. Wander down this spooky path with poems and stories that revive our nightmares about golems, harpies, and other forgotten creatures.